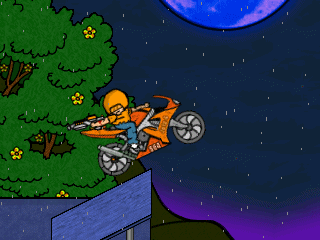 Nobody has shared their opinion about Street Bike Fury yet. Be the first. Recommendations: The 3 people who like Street Bike Fury also like the following games. I remember were I was when I've played many of his games, especially this one. It doesn't even feel that long ago, when he was creating great games like this. It's sad that the community of GM had to experience a very tragic loss... This game deserves a 10/10! Yes, his last game he made before he did suicide. He was bright, but that was very dumb of him to do what he did. He had a huge reputation going... what a smart guy.